Available in stainless steel, these Magma grills quickly come to temperature for fast, efficient cooking. Available in propane or natural gas models, the grills have an instant-off brass valve with a patented double hinged ''easy lift'' lid. 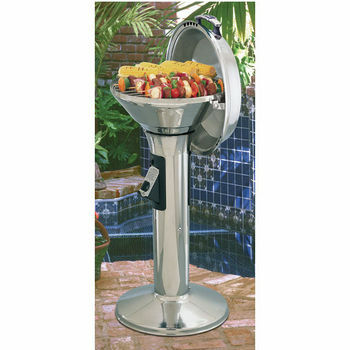 Delivered fully assembled, the grills will fit neatly into the corner of your deck or patio and are sure to compliment any other existing outdoor d�cor. Magma grill heats up quickly and provides even cooking temperatures.